Eli is my first venture into a variety other than Parti. He is out of CH Bleumoon's Just One Time and Shadow Cast N Avanti Tabasco. Eli is an elegant brown with a proper head and winning personality. 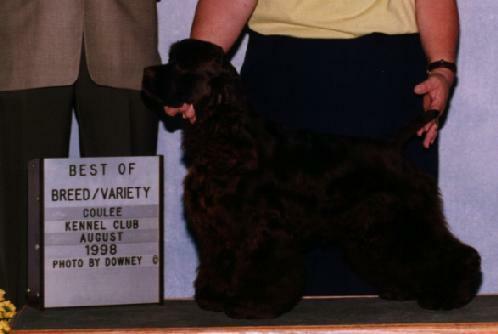 He was easily finished owner-handled and every judge that put him up commented that he was not only a very nice brown but a very nice ASCOB dog.